The Tamil month Purattaasi is auspicious and devine, with important events like Mahalaya Amavasya followed by Navrathiri. The whole month is celebrated in Tirupathi, and Saturdays of this month are significant, not only at the uphills but in most of families whose family deity is Venkateswara.The preparation of Maa Vilakku and praying Lord is followed in many houses. This year the festival of Ganesh Chaturthi is also in this month. To start any work Ganesha is prayed initially. So let us start this month by offering prayers to Lord Ganesha. I pray for a smooth celebration of Navrathri festival by all friends and relatives. I am missing the Ganesh festival which is also called as Ganesh Navrathri and in my home town Secunderabad every street has a pandal and the huge idols are placed for nine days and the immersion of the idols is done on the tenth day. They declare holiday for schools on this occasion. We too have the custom of praying to the newly bought clay idol of ganesha and puja is performed duly offering many types of green leaves and flowers which are sold as a set in the lotus leaf a day before the festival. My parents used to make us perform this puja under their guidance as this is meant for students. I remember my mother making two types of neivedyam for this. Along with fruits we offer Milk, Honey, Coconut with jagree sweet (the name is Chitturundai) and Kadalai paruppu sundal. The above slokam in tamil , starting as "Paalum, Thelithenum, Paagum (jagree syrup), parruppum (kadalai paruppu). ..... is literally meaning - Lord, when offered with the four prasadam will in turn will give us all the three sanga tamil. This sloka is taught to children when they are kids. I too followed this practice with my kids. Heat a pan, add 1 cup of water and add grated jaggery. When the jaggery dissolves completely in water, strain it to remove dust and sand particles. Add the strained jaggery juice again in the pan, and keep it in flame. When the the jaggery juice starts to boil and become thick, add grated coconut, cardamom powder and stir well continuously till it roll like a ball and does not stick to the sides of the pan. Soak bengal gram dal for 1 hour. Pressure cook dal with needed salt and less water for 1 or 2 whistles. The dal should be soft but not mushy. You can even cook in a pan. If there is water, drain it and keep it aside. Heat a tsp of oil, add mustard seeds, when it splutters, add hing, urad dal, green chilli, red chilli and curry leaves. Then add the cooked kadalai paruppu/dal and mix it well. Add grated coconut, mix and switch off the flame. Modagam or kozukattai is important for Ganapathy. The above two prasadams are used as poornam (for stuffing) in kozukattai. 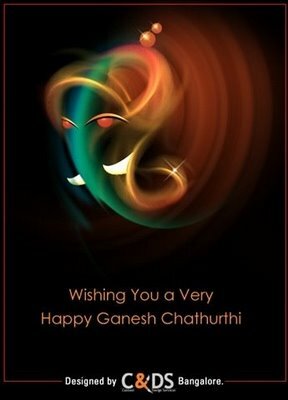 Once again I wish you all a Happy Ganesh Chaturthi. After this festival I will be back in India for arranging Golu and perform puja. I am posting the Navrathiri Chart in the following post.